Do you remember your resolutions from New Years past? What I do remember was how great I felt when making them, but how rarely I bothered with the follow-through. They were, for the most part, ill-conceived and poorly executed. As this year draws to a close I find myself thinking: What if I changed the tenor of those last minute resolutions? What if I took Saint Paul in today’s reading to heart and found an opportunity each day to dress myself with the virtues? What if I endeavored to put on compassion and kindness with the stranger in my midst? To wear gentleness and patience with someone who is needy? What if my 2018 intention became more than a simple goal to “eat healthier” but instead a resolution to swallow my pride, selfishness, and lack of self-awareness? What if I never let my head hit the pillow each night without dropping to my knees and uttering a “thank you” to my Creator? Let January be the month of compassion. February – the month of contrition. 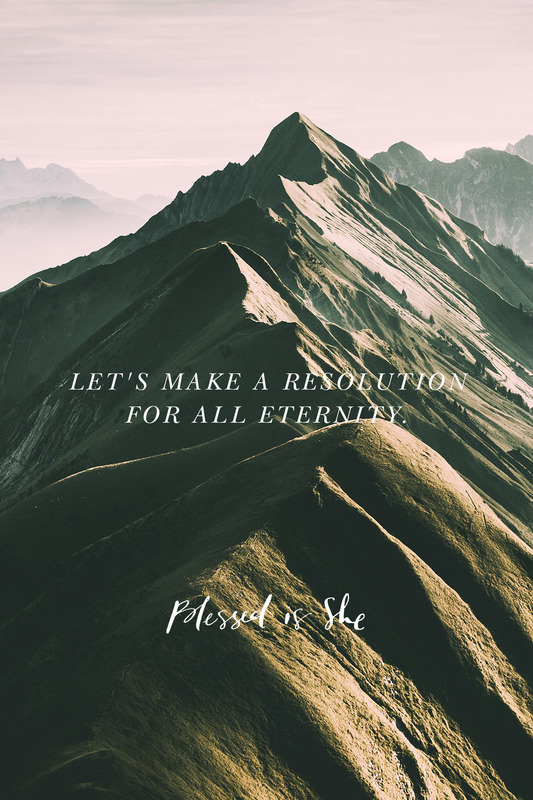 Here’s to making a resolution for 2018 that matters not only for the now, but for all eternity. Let’s make a resolution for all eternity.